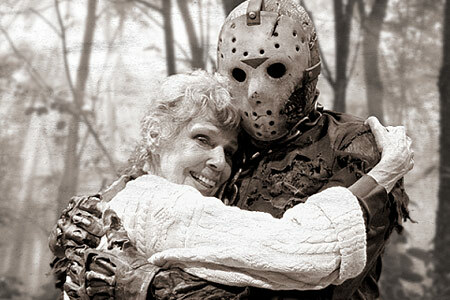 Happy St. Valentine’s Eve and Friday the 13th. Happy St. Valentine’s Day, mom. My back hurts. This is why good form is very important when lifting heavy things. As you can tell, I’m getting around slowly this morning. I normally do a bit of pre-post prep work, for the next day’s post, in the evenings before I go to bed. Last night, I stayed up past my bedtime at the family dinner, so you’re getting this post right from the hip. Or fingertips. Or whatever. It’s a weird day. I guess that’s how Friday the 13th’s are supposed to go, right? Today will be spent dealing with the weirdness, catching up on my stories, and resting my stupid back. See ya’ tomorrow. If you don’t get murdered, that is.